Dls Capital Management is primarily dedicated to the technology industry with its current portfolio standing at $17 million, as per its recent SEC 13F filing. ChipMOS Technologies (Bermuda) Ltd (NASDAQ:IMOS), Hewlett-Packard Company (NYSE:HPQ), Micron Technology, Inc. (NASDAQ:MU) are the three top investments of the fund indicating its inclination towards the technology sector. David Steinberg manages the fund with basic material as the second significant investment area of the fund. ChipMOS Technologies (Bermuda) Ltd (NASDAQ:IMOS) comes at number one in terms of its contribution towards Dls Capital Management’s portfolio with 254,790 shares worth $6 million. ChipMOS Technologies (Bermuda) Ltd (NASDAQ:IMOS) announced net revenue of $181.2 million for the second quarter 2014 with net EPS of $0.19. Baupost Group is the primary investor in ChipMOS Technologies (Bermuda) Ltd (NASDAQ:IMOS) with investments worth $79 million followed by Soros Fund Management ($28 million) and Renaissance Technologies ($18 million). Dls Capital Management has a big stake in Hewlett-Packard Company (NYSE:HPQ) owing 28,525 shares with a market value of $961,000. 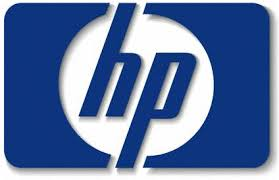 Hewlett-Packard Company (NYSE:HPQ) reported net revenue of $27.6 billion with GAAP net diluted EPS of 52 cents. Relational Investors has investments worth $936 million in Hewlett-Packard Company (NYSE:HPQ) followed by Pzena Investment Management ($819 million) and Iridian Asset Management ($366 million). Micron Technology, Inc. (NASDAQ:MU) is the third largest investment of Dls Capital Management owning 25,470 shares with market value of $839,000. Micron Technology, Inc. (NASDAQ:MU) reported its fourth quarter 2014 results with net revenue of $4.23 billion and net GAAP income of $1.15 billion. Some of the major investors in Micron Technology, Inc. (NASDAQ:MU) include Baupost Group ($1.70 billion), Greenlight Capital ($1.32 billion), and Viking Global ($583 million).